If the Rowan-Salisbury School System in North Carolina sounds familiar, chances are you attended the 2012 JAMF Nation User Conference. Last October we were honored to have Phil Hardin, Executive Director of Technology at Rowan-Salisbury School System, share his story at the JNUC. His session “Devices, Wi-Fi, and Management: How One Administrator Beat the Odds 19:1” took us on a tour of the STEM (Science, Technology, Engineering, and Mathematics) mobile classroom. 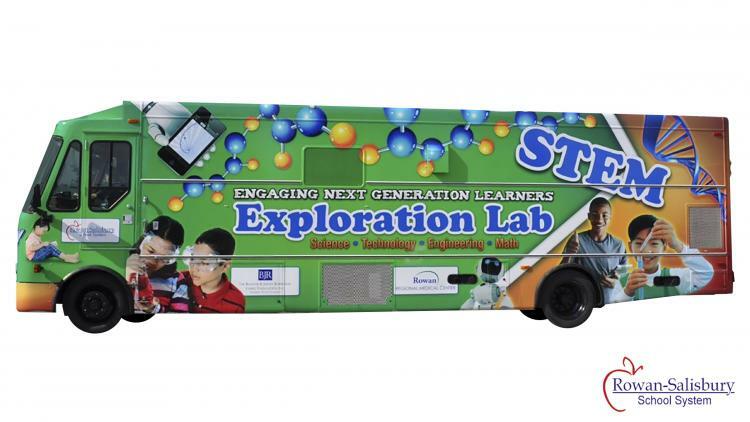 The cooperative technology hub, or bus, is a transportable learning center complete with a teacher, iPods, iPads, a digital microscope, and an Apple TV—providing every student access to technology in a poverty-stricken district. Essentially, proof on wheels that our customers do really, really cool and inventive things with technology. With that said, we’re very excited to share some great news with the community. The Rowan-Salisbury School System has won the 2013 Sylvia Charp Award for District Innovation in Technology, presented by T.H.E. Journal and the International Society for Technology in Education (ISTE). Superintendent Judy Grissom, along with Phil Hardin, will accept the prestigious honor at the upcoming ISTE conference in San Antonio, TX. To learn more about the Sylvia Charp Award (or as Phil refers to it, “an Academy Award for technology”), read the entire write-up in T.H.E. Journal. Congrats guys. We can’t wait to see what’s next.